Last month’s events in Bangladesh – the collapse of a garment factory which killed over 1,100 people and a fire at a nearby garment factory which killed 8 people – have reminded those who support ethical business practices of the disasters that can result when supply chains are too long and relationships are too distant. We’re also reminded of how important it is for companies to build relationships with the people who make their products. Since these events, a number of news stories and op-eds have suggested that apparel brands and factory owners hold themselves more accountable for prioritizing worker safety and well-being. This is an important step in the right direction. 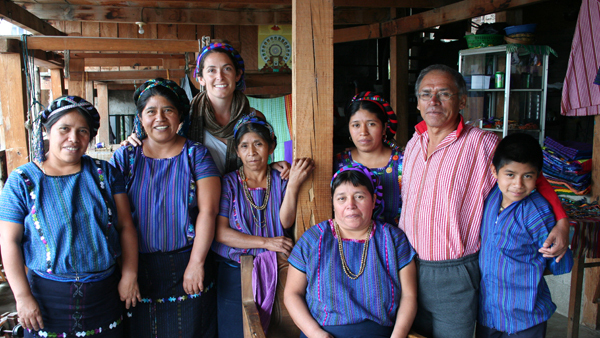 Fair trade organizations prioritize direct, long term relationships with small scale producers in the developing world. Because of these relationships, craftspeople and farmers who live on the margins of their societies can count on long term stability for themselves and their families. Shorter supply chains also help overseas workers to escape the market pressures that often lead to forced overtime and unsafe working conditions in factories and larger-scale operations. Maintaining these relationships, even if they are not financially advantageous to companies in the short term, is beneficial to everyone involved in the long term. Understandably, small-scale production can’t match the volume and speed that is a priority for larger apparel brands. This will continue to be a challenge for the garment industry as consumer consciousness changes. A focus on relationships with producers, though, might require shoppers and retailers alike to place less value on high turnover trend pieces and more value on how brands do business. At its core, fair trade is about relationships, not simple business transactions. Browse through a list of dedicated fair trade retailers and wholesalers here.